Registration for the 2016 Government Technology Conference (GovTech) and the State Information Technology Agency (SITA) Public Service ICT Awards is now open. The conference and awards are being held at Gallagher Estate, Midrand in Gauteng from the 30th October to the 2nd November 2016 with a theme of ‘ICT for Development, Access and Growth’. 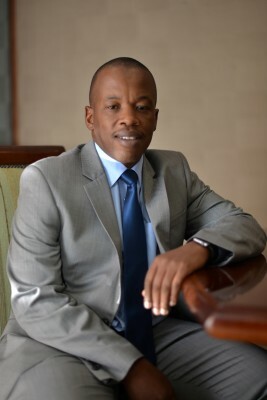 Dr Setumo Mohapi, SITA's CEO, states that, “GovTech 2016 will, once again provide a platform that will bring together government and business leaders, professionals and practitioners to discuss, deliberate and explore the intelligent use of information and communication technology (ICT) within the public sector designed to improve the quality of life of citizens, promote inclusive economies and stimulate growth”. The GovTech theme this year, ‘ICT for Development, Access and Growth’, explores the potential of technology in promoting public service and delivery through advancing equitable access for all; enabling socio-economic development and growth; and technology innovations reinventing government in the digital age. The 2016 conference has four tracks: Access; Development; Growth; and Research & Innovation and different focus areas have been identified as a subset of the overall theme—all aimed at demonstrating how the smart and effective use of technology is shaping and transforming South Africa's future for all. 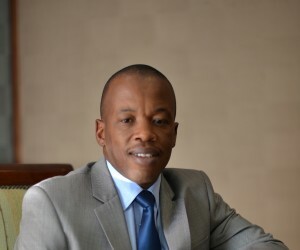 Mohapi says, “The 2016 GovTech conference will also look at the role of research and innovation in influencing technology (ICT or otherwise) that can make government function better while enhancing planning, and helping to build sustainable communities, profitable industries and growing economies that are inclusive and promote local/home-grown content”. He says this will be hosted under the sub-theme of ‘How Technology Improves Service Delivery for Citizen Empowerment’. A highlight of the GovTech conference is the Public Service ICT Awards that were very successfully introduced in 2015 to recognise and reward innovation for improved service delivery. The Public Service ICT Awards lead the way as a ‘transformation agent’ that promotes innovation, leadership excellence in IT operations, excellence in public service delivery and transformation of the business of government through the effective use of technology. Nominations for 2016 are open to both individuals and organizations including small and medium enterprises as well as start-ups and Women and Youth in ICT. These awards are taking place on the 30th October at Gallagher Estate. For more information about the GovTech conference and to enter the Public Service ICT Awards please visit www.govtech.co.za.